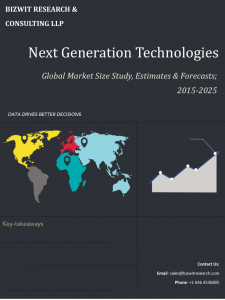 Next Generation Technologies Industry Reports- Bizwit Research & Con. The ICT industry is constantly evolving with many next-generation technologies that will be disrupting the industry in coming years. Throughout history, society has evolved from reliance on one source of energy to another. We have evolved from using wood to coal, petroleum, wind, natural gas, solar, and nuclear. Over time, we have also discovered, the importance of being efficient in our use of energy, reducing our environmental impact, and enhancing our energy security. Our next generation technologies portfolio will track latest development and trends in these technologies. Some of our latest reports include Global Virtual Reality Market, Global Internet of Things Market, Global Smart Cities Market, Global Digital Twin Market and so on.